Vintage Cottage Farmhouse Gray Ruffle Matelasse Coverlet with 2 White Linen Ruffled French Script Euro Pillow Shams! Stunningly beautiful and very Vintage Cottage French Farmhouse chic! This gorgeous set includes a light gray matelasse coverlet with a big ruffle on 3 sides, and 2 white linen ruffle Euro Pillow Shams with gray French script! 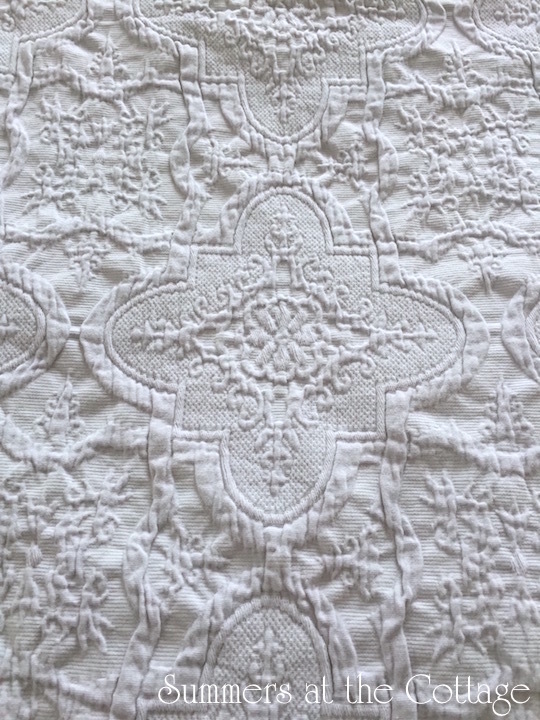 Brand new 100% cotton, this coverlet is the most gorgeous shade of gray with a very rare a lovely matelasse design. 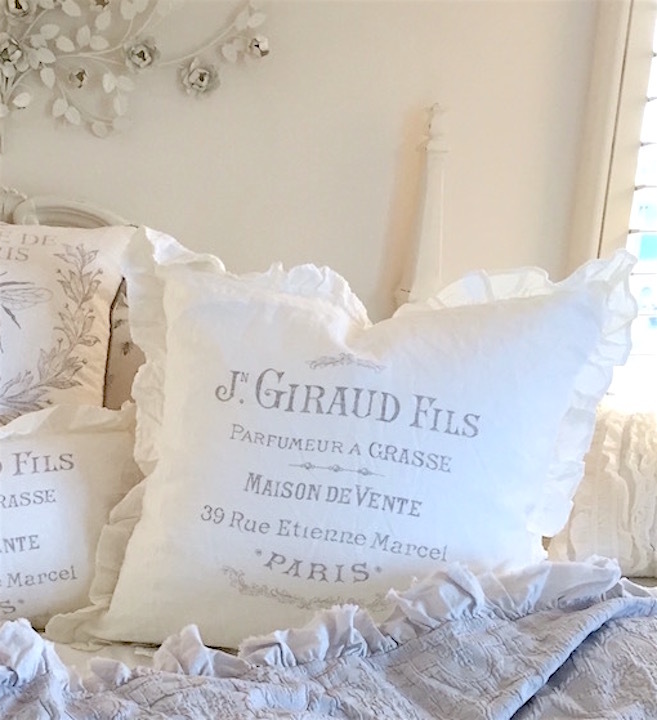 The brand new white ruffled linen Euro shams with French Script are the perfect accent. Queen Set Includes: Gray Matelasse Coverlet (92 x 96 inches) and 2 white linen ruffled script Euro Shams (26 x 26 Inches). The other pillows shown on the bed may be available in our Pillows & Shams section, the white ruffled bed skirt is available in our Bedskirt section and are a beautiful addition to this bedding!